After months of preparation it is almost race day! The last few days and hours before the race are still important and can have a major impact on your race. The following are a few guidelines for when you are two days prior to the big day. See below! This will be your next to last (or last) workout. This is a great way to get rid of pre-race jitters. It should be a short and low intensity workout. Or take it as a rest day from exercise. To “carbo-load” or top off muscles with stored glycogen (fuel) you will want to start eating complex carbohydrate foods. If you have just finished a high intensity or volume/mileage week now is when you want to replenish the stored carbohydrates. Select options such as oatmeal, whole wheat bread, cereal and pasta and rice. Make sure to not eat too much more fiber than you are used to otherwise it may lead to stomach and GI problems. Remember to drink plenty of water to help digest all of the complex carbohydrates. Try to be off of your feet. If you work a job where you are standing or walking try to take breaks and prop up your feet. 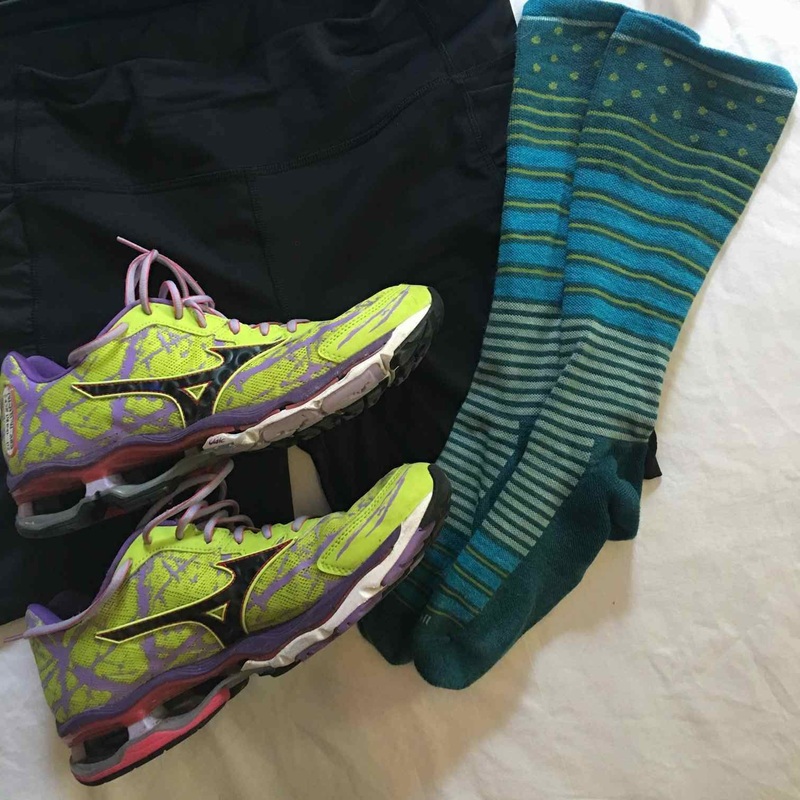 Wear compression socks to help reduce leg fatigue and swelling. This isn’t the day to go to the zoo or walk the mall for 4 hours. Make sleep a high priority. Ensure you get at least 8 hours of sleep. Have one last very short and light intensity workout or take it as a non-exercise day. Again, this is mainly to dispel pre-race jitters. This workout is not going to improve your conditioning level. Continue to eat complex carbohydrate foods and hydrate. Don’t try any new foods. Make sure all of the race day gear is together, money for parking, water bottles are filled, etc. If you haven’t already done so, map out where you will plan to park, where registration/chip pick up is located, decide if you are going to check a bag with the race (if offered), etc. Tomorrow should have no surprises so make sure everything is in order. 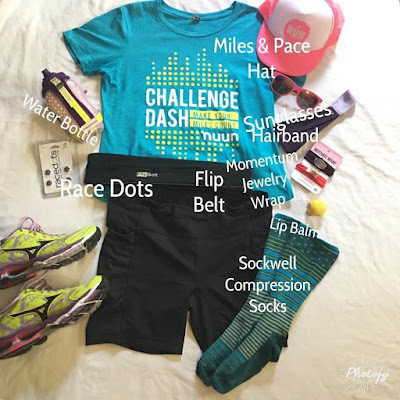 On social media it is called a flat runner to set out all of the race day items & arranged like a flat runner. It helps to know that you have everything necessary. Don’t obsess! Make sure to do relaxing or brain-occupying tasks. Again try to stay off your feet and wear compression socks. Get plenty of sleep, again at least 8 hours. Relax and know that you have diligently and adequately trained. Set more than one alarm! I speak from experience. Try to keep calm. Everything has been well-planned so no need to be a bundle of nerves. Eat something light and what you are used to eating early mornings. Begin hydrating as soon as you wake up. Make sure you have the entire list of gear before leaving the house. 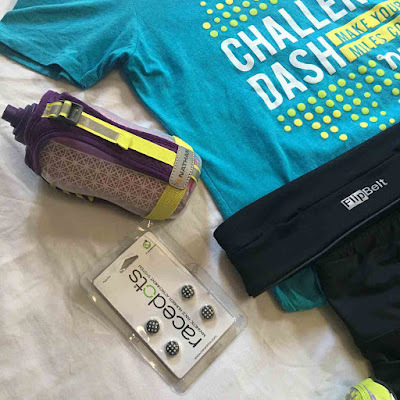 Once you arrive at the race, make sure to bring all necessary gear with you & not forgotten in the car. Follow other runners to the registration, bag check, timing chip pick up areas. Have confidence in yourself & your hours spent training. If you do feel pain during the race remember that you can stop or walk if necessary. Most of all, have fun and relax! You did it! All items pictured or mentioned are my personal items. I was not asked to feature any of them. I received no compensation to mention the items or brands. All items I personally use daily.